The Kepler spacecraft, which was launched in 2009, had a mission to measure the number of Earth-sized planets within our Galaxy. Although Kepler was decommissioned in 2013, the quantity of data it collected within the time it was active is staggering. Scientists are still trawling through the huge number of planetary candidates to try and work out which might be most like Earth and therefore potentially habitable. 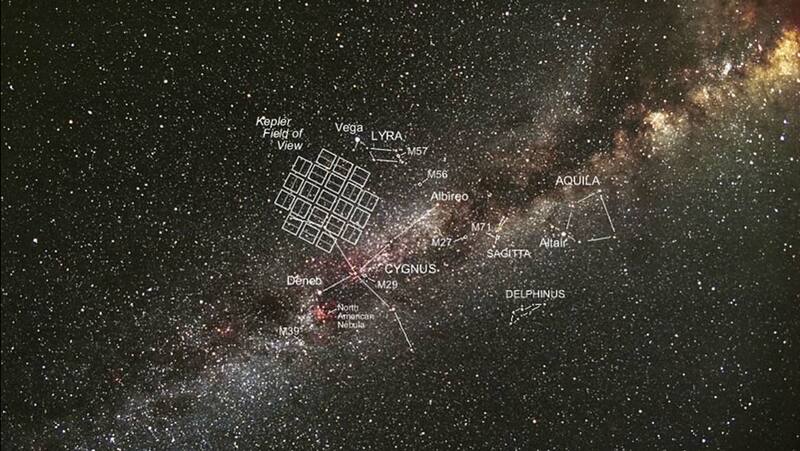 The latest paper released using this data, titled ‘Planetary Candidates Observed by Kepler. VIII. A Fully Automated Catalog With Measured Completeness and Reliability Based on Data Release 25’ was published on the ArXiv preprint website, run by Cornell University. Within the paper, the authors explain how the Kepler Object of Interest (KOI) catalog has been designed to help identify exoplanets orbiting other stars. Within the data collected, the team found over 8,054 objects of interest, which was then whittled down to 4,034 planet candidates. Excitingly, ten of these were then further classified as “high reliability, terrestrial-size, habitable zone candidates.” The orbits of these planets varied tremendously, from just 18 Earth days, up to 395 Earth days, very close to our own orbit around the sun. Of these ten planets, Planet KOI-7923.01 looks one of the most promising on first glance. This planet orbits a star, just like our own Earth, and has a 395 day year. It’s also estimated to be 97 percent the size of Earth, with a slightly lower temperature. The lower temperature is suggested to be due to the distance the planet is from the star, and the fact that the star it is orbiting is cooler than our own Sun. Whilst the team of scientists responsible for identifying these planets are 70 to 80 percent sure that these planets will exhibit earth-like characteristics, they do suggest that further observations are very much required. Unfortunately, Kepler was decommissioned early due to the fact that two out of the four reaction wheels broke. These reaction wheels were a vital part of the mechanism required to turn the spacecraft so without them, Kepler was of very little use. A new mission plan was designed, but the breakdown of the reaction wheels means that many of the potentially habitable planets in the KOI catalog have only been observed a few times at most. This means that further observation is definitely necessary in order to further confirm their properties. The intention now is to use the Hubble Space Telescope to carry out further observations to find out more about these planets which bear quite some resemblance to our own Earth.